How to Out-Sell and Out-Market Every Executive Education or Training Provider That You Compete Against No Matter How Large or Small You Are! I don't know of a single Executive Education business or training organisation who would not get some type of improvement by using the strategies in this book. Contrary to media coverage, growing your Executive Education business or any type of training business for that matter is not down to magic or superhuman business acumen. 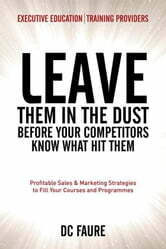 It has everything to do with understanding the way your customers think, out-thinking your competitors and combining a stream of innovative courses, services and messages into an unbeatable value proposition. 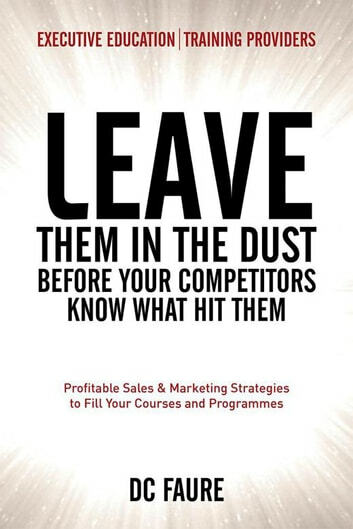 This book gives you the ammunition to rapidly boost your competitive advantage, leading to increased bookings for courses and development programmes virtually overnight. This book shows you: How to take control of your results Why you should rely on your intuition to understand your industry 12 ways to write winning headlines and subject lines Why emails must be under 30 seconds long How to get more clicks from SEO without increasing your rankings Slash your Pay per Click costs and get more quality prospects The type of content marketing that works Why you won't need to create content from scratch The lead generation system that outperforms your website by 1600% How to choose your markets and make growth easy billion strategy levers 6 Rapid Business Multipliers you can apply right away The Significance of A/B Split Testing for breakthrough performance Why you need more than marketing skills to succeed - 5 management tools for you Where to target your efforts in social media marketing Plus much more..
Books related to Leave Them in the Dust!